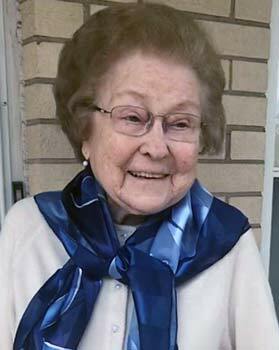 Lillian Kostner , 85, of Edison Park. Beloved wife of the late Eugene M.Kostner. Loving mother of Brent (Jean) Kostner and Christine (Anthony) Benjamin. Proud grandmother of Brent (Felicia) Kostner, Randi Kostner, Melissa (fiancé William Montgomery) Benjamin and Eric Benjamin. Great grandmother of Oscar, Abraham and Arrow. Retired 30+ year employee of the 1st National Bank of Chicago. Family and friends will be gathering Friday, February 8, 2019 at St. Juliana Church, 7201 N. Oketo Ave. (at Touhy), Chicago from 9:15 am until time of funeral Mass at 10:00am. Interment Maryhill Cemetery, Niles, IL. In lieu of flowers memorials to your favorite charity appreciated. Arrangements entrusted to the M J Suerth Funeral Home. For further information 772-631-1240 or www.suerth.com.